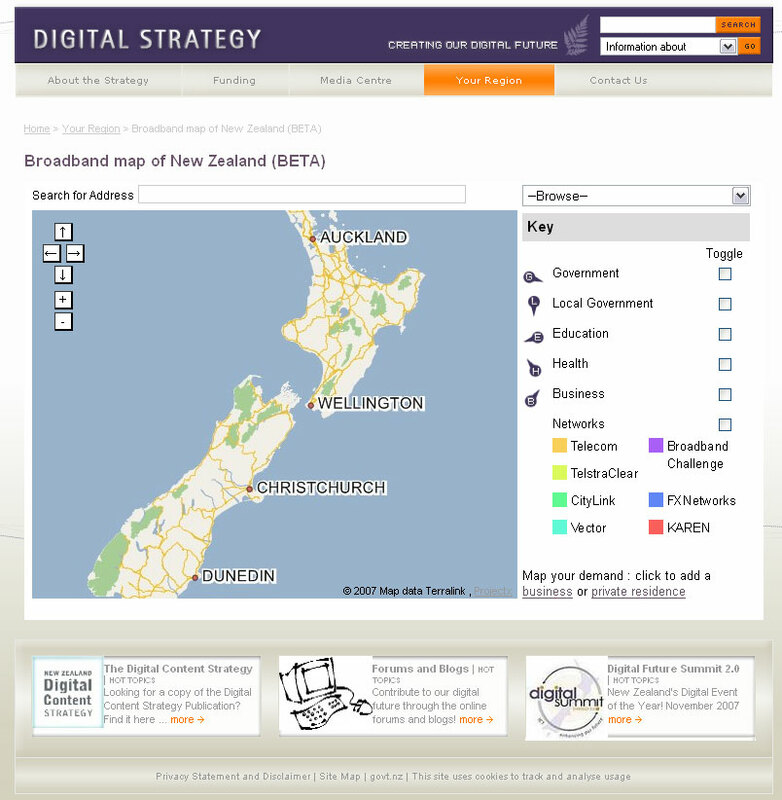 Today’s Digital Future Summit 2.0 saw the launch of The National Broadband Map, built with ProjectX technology. Its purpose is to help improve access to broadband, especially in the regions, through “demand aggregation”: pooling the demand for telecommunications services in a specific geographic location. Individual users might find it hard to convince a telco to roll out services in their area, but when those users combine, they can often reach the critical mass required to attract investment in the provision of new services. 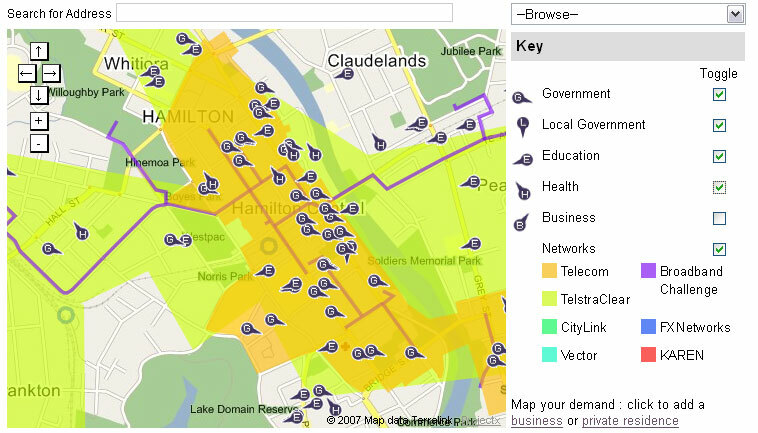 For instance, if you’re a graphic design business in a small provincial town, you might struggle to convince a provider to extend their infrastructure to reach you; but if there is also a school, medical centre and library down your street, plus several other businesses and private residents who are also interested, then the telcos might sit up and take notice. To this end, the map shows existing state sector locations, as well as allowing businesses and private residences to enter their own locations and describe their level of demand. It also shows existing network infrastructure, and includes all the address search, autocomplete, zooming and panning functionality that is familiar to ZoomIn users. The system was developed by ProjectX together with the State Services Commission, and involved the collation, geocoding and checking of thousands of state sector locations, and the conversion of network data from all sorts of formats and projections, as well as building on existing ZoomIn Mapping System API functionality. For instance, the ZMS has always had the ability to display vector layers (polylines and polygons) as overlays on the maps, but the size and complexity of the network infrastructures required some hard work from our developers to optimise the performance of these layers, as well as dealing with the inevitable curly cross-browser compatibility issues. 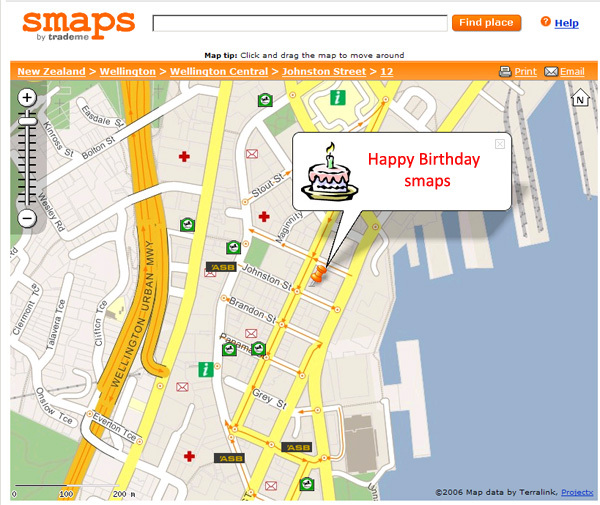 In keeping with the Web 2.0 theme, the Map is labelled “Beta”, and it will evolve over time. Partly that will be due to the growing information base, from user-added places and as we receive more state sector locations and existing network data. There will also be functionality and usability improvements over time, and we encourage user feedback so that we can make this as comprehensive and easy-to-use as possible. 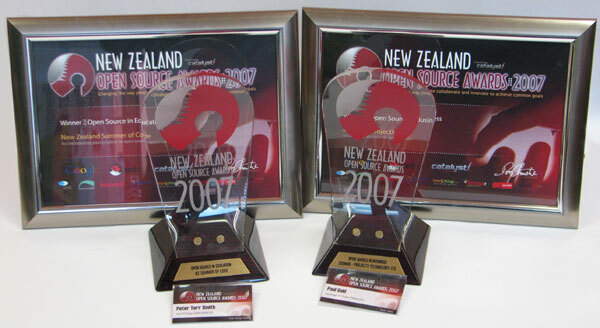 I just want to say thank you to New Zealand Open Source Awards for the two awards for Summer of Code in the education awards and ZoomIn / ProjectX for open source in business. I heard the news walking off the plane in Calcutta after my ‘amazing race’ adventure. I was pleasantly surprised and proud of all the people that have been involved with ProjectX and Summer of Code. I just want explain a little bit about the Summer of Code before I say thank to some special people who have helped make it happen. I told him that we had to create Summer of Code. Like every company, our company needed to find good people and in the current job market its really hard to find good people. I had a brain wave to fast track the knowledge of the next generation of talent. Provide students with real experience in emerging and startup companies. This is what the Summer of Code is really all about. We’re providing accelerated learning environments for students. We differ from the Google Summer of Code in that the participanting companies directly mentor students and help accelerate their learning. We see this as an investment in the medium term to help create a smarter graduate job market in 2-3 years time by provide our students with a head start! The Summer of Code has been a team effort, and I could have done anything without the help from a large number of people. I want to give special thanks to two people and their support team. First, I want to say a big thank you to Peter Torr Smith. We has been the right hand man for Summer of Code and I’m glad that he was able to accept the award on my behalf. Peter has always been there to help do the hard yards in organising the Summer of Code. Recently he stepped up again when I was off in India during a major crunch time of the Summer of Code 2.0 organisation. Thanks Peter, you’ve been an inspiration and you re-inforce one of the reasons why I love Summer of Code in that I get to work with good people! I would like to add that I would like to personally thank FRST on behalf of Summer of Code, our participating and all of our students for actively supporting Summer of Code. The Govt gets a lot of flack for a lot of its funding initiatives and I would like to commend FRST for funding. You’ve been integral to the success of Summer of Code and everyone at FRST should take a bow for helping make this happen! Finally I want to thank to the Summer of Code team that have been making Summer of Code 2.0 a reality – Peter, Paul Gold, Thong Kuah, Daniel Wang and Kat Price. They have been real stars in helping make Summer of Code 2.0 happen. We’re big users and supporters of the open source in GIS and especially rails. 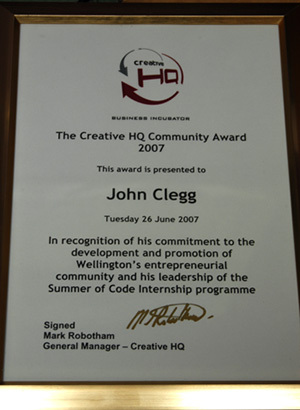 I would like to dedicate this award to the person who has done a lot for helping build an open source technology community here in Wellington. This person formed Wellrailed – the Wellington Rails Community group, he has been active in organising monthly meetings and answering people questions on the newsgroup. He is of course my friend, Tomek Piatek. Thanks Tomek, you’re an inspiration for us in making sure that technology isn’t just about writing code, its about getting people together to exchange ideas and help each other. Also I would like to send a big thank you to Koz – another open source award winner. Koz is active contributor to the Wellrailed group and has helped so many people. Koz and the rest of the core contributors in Wellrailed are the reason why we have a strong rails community in Wellington. Thanks everyone! D) Had an amazing race style adventure driving to the airport through jungles of Mizoram overtaking random obstacles (insert any of kittens, dogs, goats, cows, cars, people or pot holes, rivers) only arrive at the airport with 10 minutes to spare and experience a monsoon shower walking out to the plane! I chose E) All of the above :-). I had a great time, youtube videos & flickr photos to come and I’ll be posting soon about my learnings from India. ps. Slowly catching on all the blog news… Congrats to Tim from PlanHQ for a kick presentation at demo conf ! Thanks for the recognition for ZoomIn and Summer of Code. We’re not resting with what’ve got. We’re working really hard on some major improvements to ZoomIn and launching Summer of Code 2.0. Kudo’s to our CHQ cousins Silverstripe in making the final selection also! We’ve added a couple extra sections to the ProjectX blog this morning. 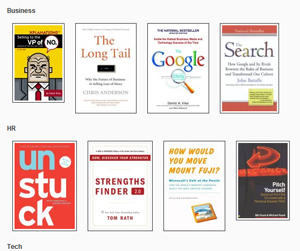 Project Bookshelf -What books are on our bookshelf and what we’re reading and thinking about buying. ProjectX is two years old today!